Thanks to a bit of savvy Marketplace trawling, I managed to pick up all three of the Watcher’s Guides for silly money. 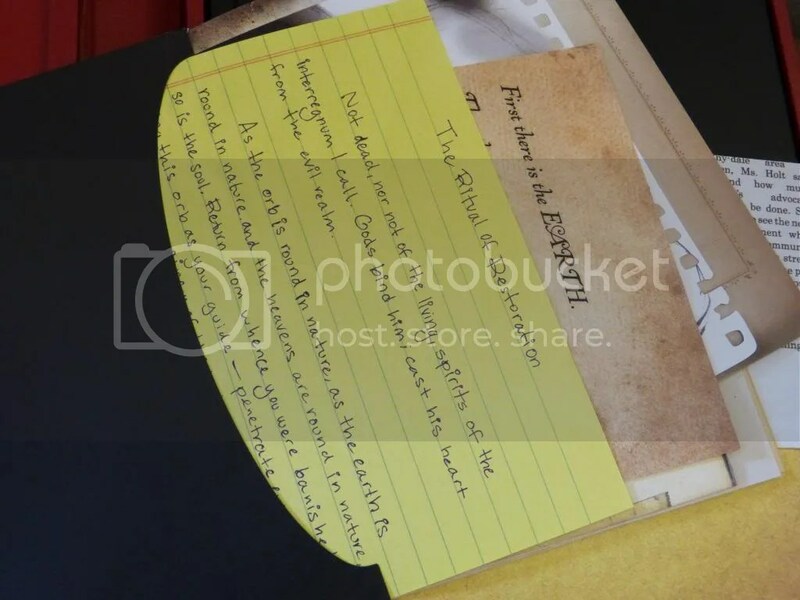 These have episode guides and analysis, trivia, quotes, pictures and lots more! This set of three bind-ups was only £5, and since each bind-up has three books in it, that’s nine Buffy novels for less than the price of, well, anything really! I’ve gotten stuck into the first one already, and they are pretty terrible, but in a wonderful, hokey horror way – much like some of the awful-but-I-love-them early episodes of the show. 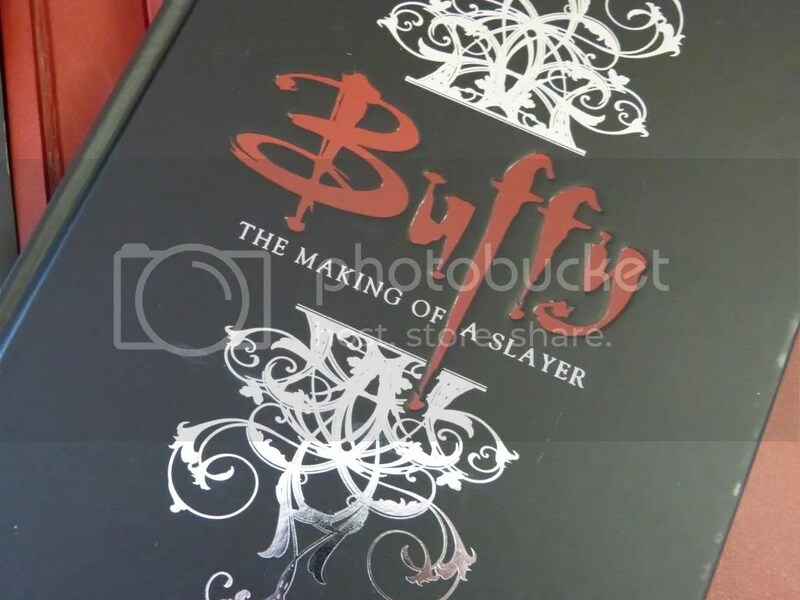 The pièce de résistance, though, has to be this beautiful book: The Making of a Slayer. This was a birthday present from my lovely boy, and is ever so exciting! The case it comes in is beautifully embossed – this is one fabulously put-together book, and looks amazing on the bookshelf! 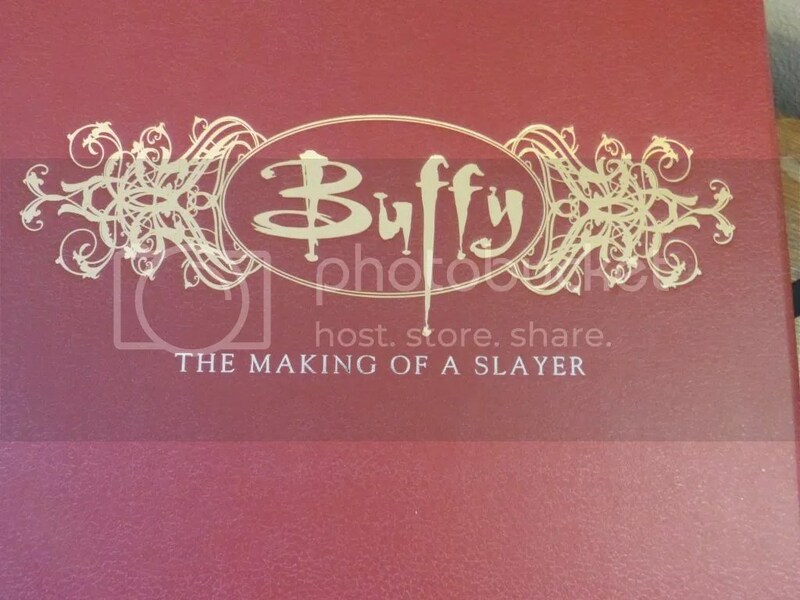 Inside the slipcase, there’s a pouch of “Slayer Lore”, which is a collection of documents from the show – Willow’s spell from Becoming, the drawing of the Gentleman from Hush, and lots more. This is such a nice geeky touch, and really makes this feel special! 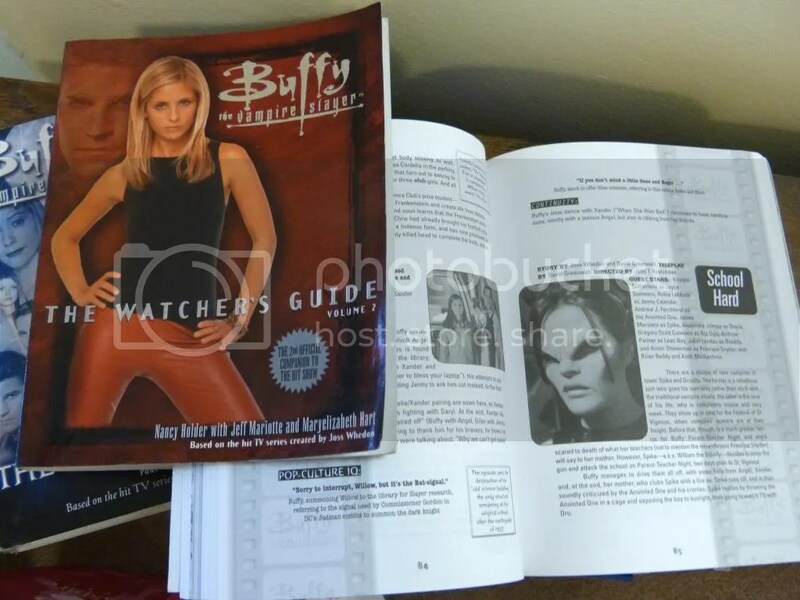 The book itself is glossy and filled with fascinating tidbits – it’s similar to the Watcher’s Guides, but has the benefit of high-production values and hindsight, giving a view of the show as a whole. It’s packed with interviews with the cast and crew, huge full colour pictures (stills from the show and behind-the-scenes), and sections on costuming and sets and other interesting things. 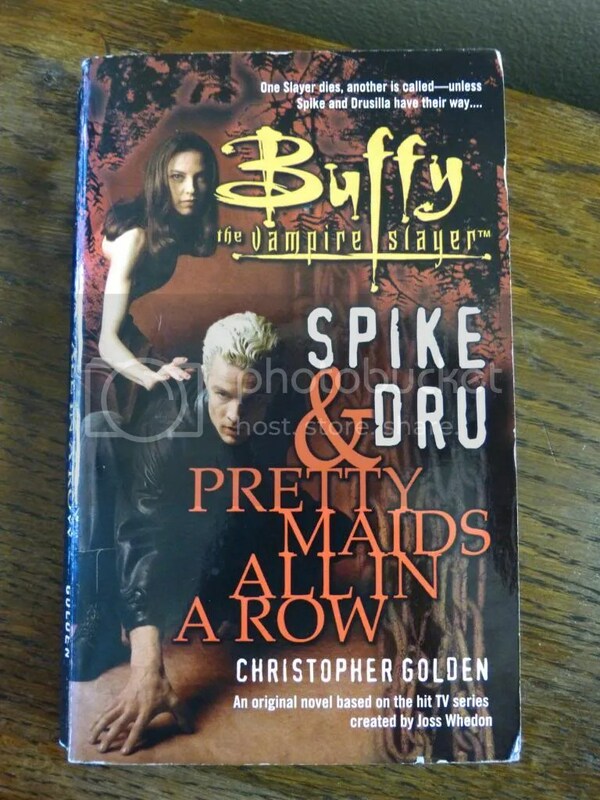 It’s a great insight into the thought behind Buffy, and makes great reading! So. I may be a little bit obsessed… Tell me I’m not alone! 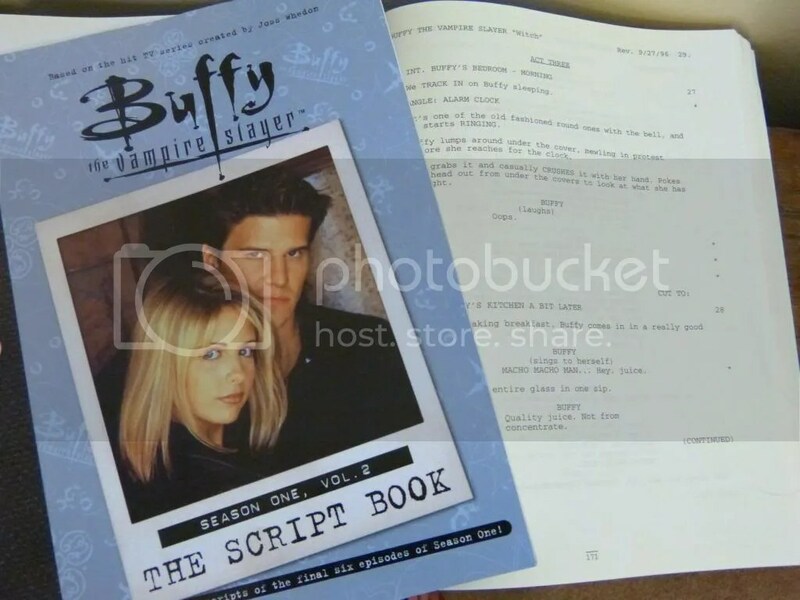 This entry was posted in Books and tagged behind the scenes, btvs, buffy, buffy books, buffy studies, buffy the vampire slayer, geekery, joss whedon, reading, tie-in novels. Bookmark the permalink. ← Outfit of the Day: Double Floral! I was like this but about the X-Files!! Haha, yay for geekery! Would you believe I’ve never seen the X-Files? If you like X Files (epic) have you watched Fringe, that’s been an obsession for me, proper geek out viewing. I recommend. Now I’m kind of craving a good Buffy marathon. 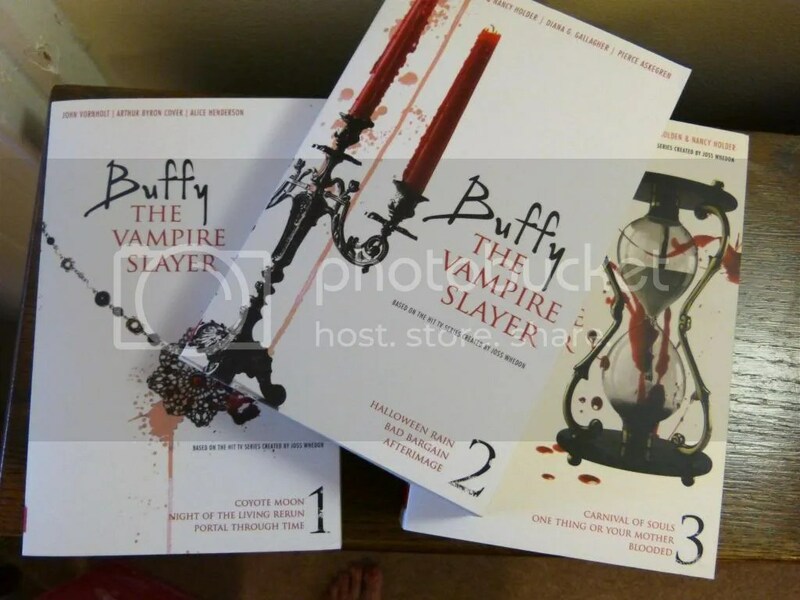 Oh you are not alone I own all 7 series of Buffy and have the ‘novels’ but no watchers guides or the making of a slayer. I just love how cheesy and wacky it is. Xander is my favourite! Glad to know someone else has an appreciation for it! I haven’t watched Buffy in years but this post is making me want to. I used to drive my family up the wall with the amount of times I watched it as a kid. I was a bit young for it when it was first on, so I caught a lot on reruns later, and although I’d seen most episodes before, this is my first time sitting down and watching it start to finish! So addictive! 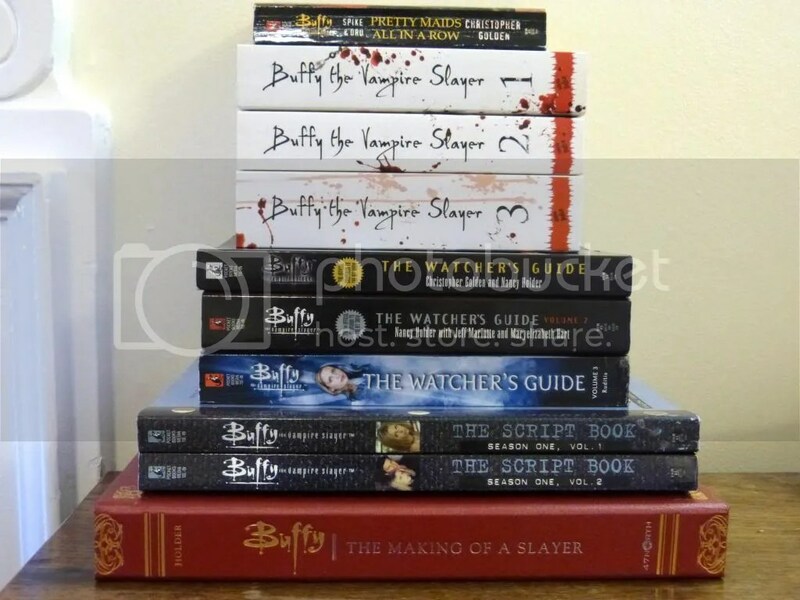 I have always been a fan on Buffy from the start, I even have a couple of books too. I am gonna try to rewatch the series in parallel with Angel this summer . I love Buffy! Have you read the comics? I haven’t – I’ve been spoiled for a few things, which makes me unsure if I want to go through the motional turmoil! Would you recommend them? Most of then. I’ve been rereading then and posting reviews on my blog if you want to check them out. The hardcover collections of season eight are really nice. This is amazing, I was IN LOVE with Buffy when I was a teenager. I have most of these books at my parents’ house. I so feel the need to go get them next time I visit!